Make the most of your kitchen garden and you can enjoy multiple harvests from a single patch of ground in any given growing season. The secret lies in careful planning: sowing the right crop at the right time to yield a succession of delicious harvests. Succession cropping is sowing or planting one crop immediately after an earlier crop has finished in order to achieve a succession of harvests. Growing like this not only maximizes productivity, ensuring more for you to eat, but maintaining soil cover with the leaves and roots of crops also provides fewer opportunities for weeds, while protecting the ground from erosion caused by wind and heavy rain. Many vegetables need only half the growing season to reach harvest time, leaving plenty of fine weather to start off a crop that will either be harvested before the end of the season, or remain in the ground to give a crop over the winter or spring. Vegetables finished early enough for a successional crop include bush beans, many salads, early potatoes and carrots, onions and garlic, and beets. For most gardeners the height of summer sees these first crops cleared to make way for the second crops of the season. These vegetables will be able to take advantage of the warm soil and high light levels to quickly grow away. Having cleared the first crop, clean the ground of any weeds then use a rake to break up any clumps and tamp the soil down before raking flat. Good, rich soil that had organic matter added for the previous crop shouldn’t require any more, but if your soil does need a boost now’s the time to add a thin layer of compost before sowing or planting. Speed is of the essence, so aim to have young plants or seeds ready to go in immediately after the first crop is cleared, that way you’ll make the most of the valuable warmth that remains this summer. What you can grow depends on the length of your growing season, with gardeners in warmer climates having longer to grow before winter arrives. With precious time remaining, some crops may need to be planted out as young plants from sowings made earlier on, or from store-bought transplants. These include many of the brassicas, such as kale, cabbage and cauliflower, plus the likes of Florence/bulbing fennel, beets and lettuce. Some may be harvested before winter, while others will give a modest crop during the cold months before coming into their own in spring. 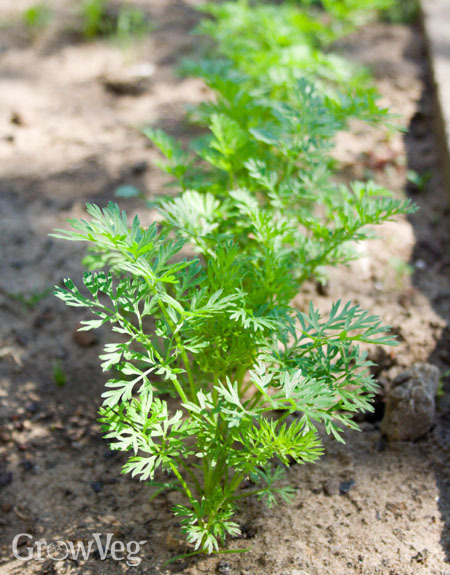 If you want to start a second crop from seed now, then try any of the Oriental vegetables, such as pak choi, plus chard, and herbs like parsley and cilantro. Many salads respond well to shortening days, including endive, spinach and arugula. Planning your successional sowings and plantings in advance will make it a lot easier to work out what can follow on from what. Our Garden Planner’s Succession Planting feature can help you to plan where to sow your successional crops. Start by double clicking on a crop to bring up the plant edit box. Now set the dates it will be in the ground. Repeat for all your crops. You can now view your garden plan in a particular month, which will show you where gaps appear as earlier crops are harvested. The filter button can then be used to narrow down the choice of crops for starting off in that month: either narrow down to those suitable for sowing or planting by month, or select the ‘Suitable for Fall Planting/Harvesting’ button. It’s now easy to see where you can add the plants you want to grow to your garden plan. Direct sowings in the height of summer can be challenging in hot weather, particularly for leafy vegetables and salads such as chicory and spinach that need cooler soil temperatures to germinate. You can improve conditions by watering into seed drills before sowing to cool the soil down. Repeat two more times if the soil is especially dry. Doing this also creates a moist environment around the seeds. Sowing under shade cloth can help, or sow into plugs of potting soil in a shady corner to plant out once the soil’s cooled down towards the end of summer. Some plants such as kale and other brassicas can struggle in the heat. A simple shade cover will help to keep conditions that little bit cooler. Careful successional sowing and planting can ensure a steady stream of year-round harvests. As always, we’d love to hear your experiences of succession planting – drop us a comment below and tell us what you’re growing.